A few nights ago I sat in my basement staring at my cache of light painting tools trying to figure out what to do. I messed around with a few torches with filters but nothing was quite turning out the way I wanted. 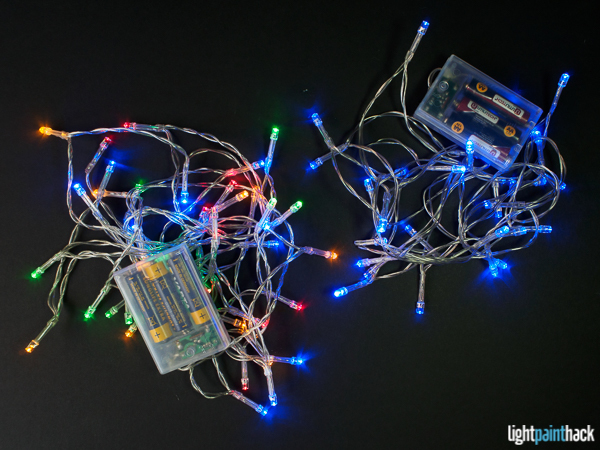 Then came my go to for fun – the $2 battery powered LED string. 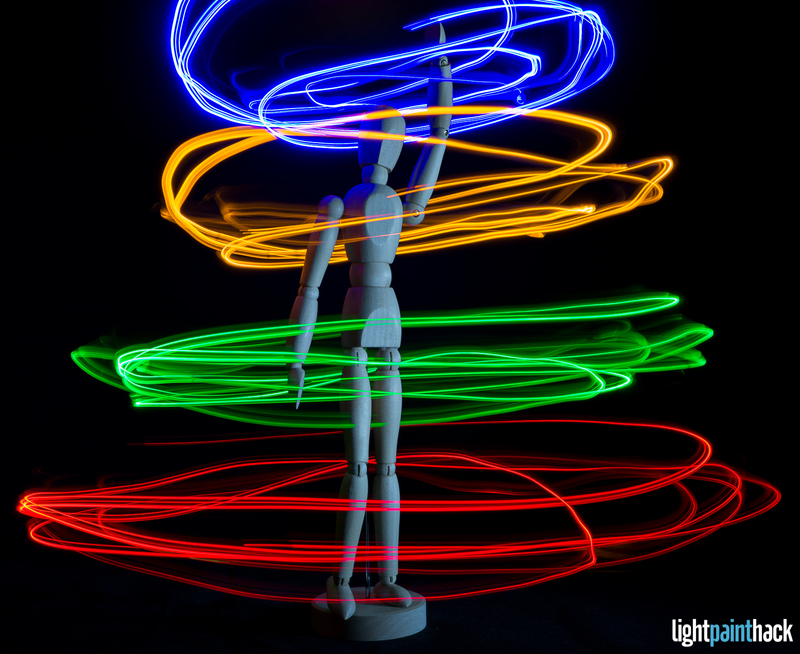 As light painting tools, strings of LEDs have multiple ways of use to get different results. The simplest is to swing them around. I went with my Olympus OMD EM-10 in LIVECOMP mode as I was just messing around and wanted to see my result on the fly. Exposure for LIVECOMP mode was set the camera to 2sec, f11 and ISO200. The technique is simple. 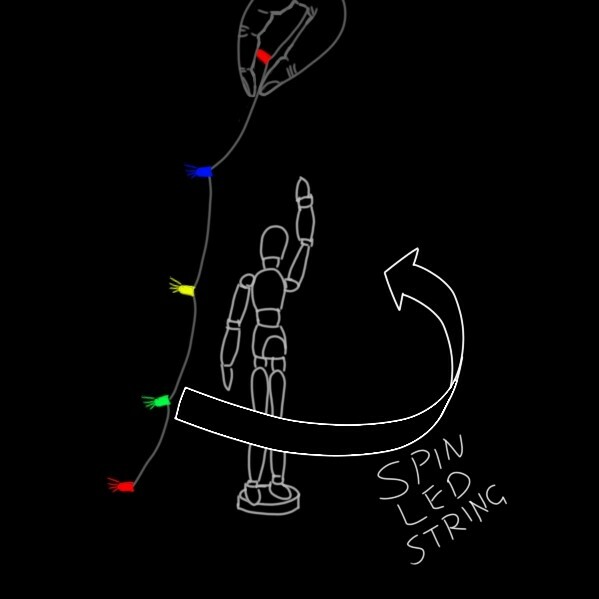 Grab hold of the last 12 inches of the string (make sure the rest is out of frame) start swinging around the subject with the LEDs off until the motion is what you desire then turn the LED string on. Once you’ve got enough light in the frame, about 5 or so rotations, turn the LEDs off. I also added a little bit of white light to indirectly paint the mannequin. The result was not exactly what I had envisaged. In general the issue for this session was the framing of the subject I went with. For a small scale experiment like this I think I should set the camera a little higher and shoot at a downward angle. That is a test for anther day. I am also not happy with how the blue LEDs tend to wash out and look white. That is something I want to experiment with further and see if there is a way to lower the brightness of just the blue LEDs in the shot. I am thinking some tinted enamel hobby paint if I can find it. Overall though I am glad I ran this small scale test. 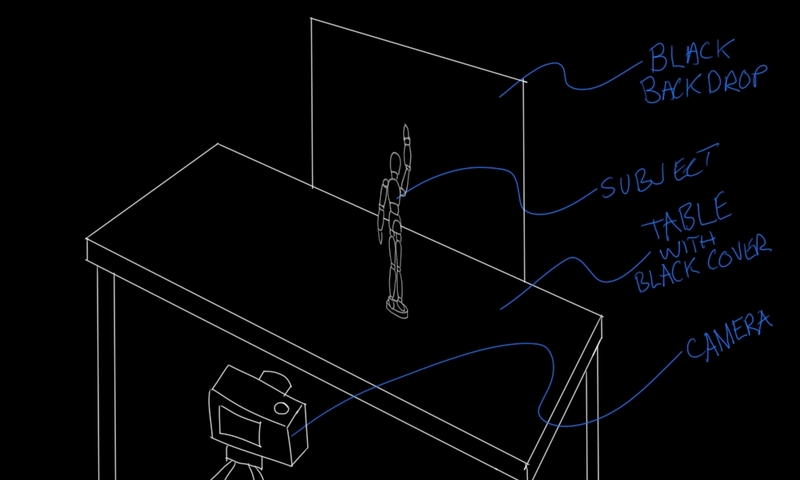 It really makes me realise I have to consider the best way to set up and frame larger scale shots in the future.